Manuscripts in this repository are stored in PDF/A1b archival format, which can be downloaded and viewed using the Adobe Acrobat Reader, or, with the proper Acrobat browser plugin, viewed directly in your browser window. All manuscripts are copyrighted and the reuse of this information must be requested from the author. Contacting the author may be facilitated by using the ORCID ID link provided for each manuscript beginning with those dated 2016 or later. Documents posted in this repository since May 2008 are also available from ProQuest via PQDT Search. 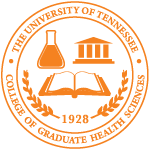 However, without a subscription, the extramural ProQuest repository is only accessible from University of Tennessee campus computers or to computers connected to campus via our VPN (Virtual Private Network) service which requires a campus NetID and password login.